First of all I would like to apologise for being so terrible at keeping up with blogging lately, I haven't been able to read all your lovely blogs and comment like I would like to. Not to mention that I didn't even get the chance to post on my usual Tuesday schedule. As cliche as it may sound, I guess life just gets in the way sometimes and I just haven't had as much time to dedicate to blogging like I usually do. I'm not going to get too worked up about it, even though I can definitely put too much pressure on myself and over think it in my head... Instead I will just pick up where I left off and try to do my best, so please bear with me. 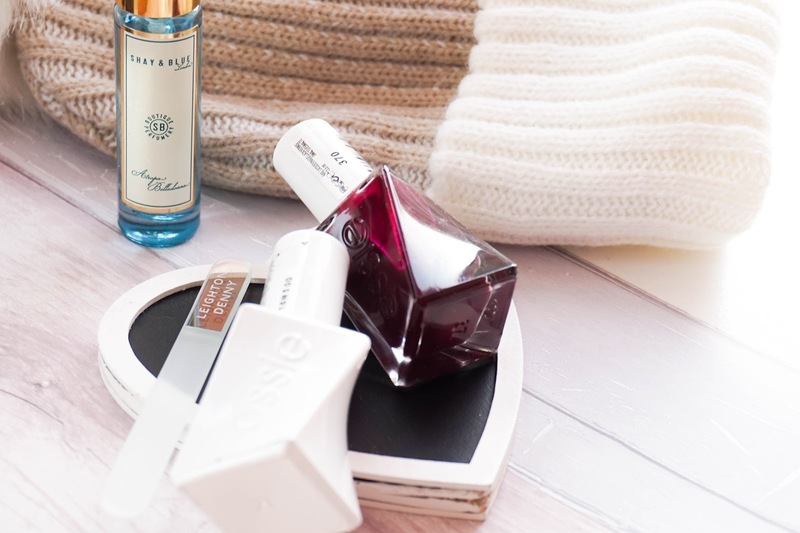 Today's post is focused on how I get ready at the weekends because right now my weekday routine is all about getting ready as quickly as possible with little to no makeup. It definitely makes me appreciate my time off at the weekend so much more now and I always give myself a bit of extra time getting ready. It's an opportunity to try out new products, not to mention that I can actually apply a whole face of makeup without having to rush. 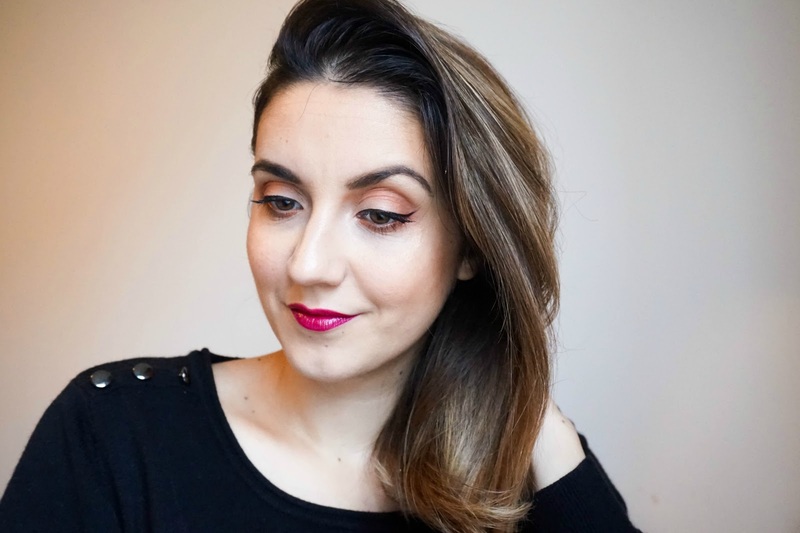 Recently I've introduced a couple of new products to my weekend routine, so I thought a GRWM post would be a great way to tell you all about these newbies. So once I've spent my morning chilling out in pyjamas with plenty of tea and toast, I'll go about getting ready for the day. Firstly I like to enjoy a long hot shower and pamper my skin with exfoliators, creams and face mask. Then it's onto makeup and hair, which is where I like to really relax and take my time. To prepare my skin for this time of the year with the colder weather, I like to make sure my skin feels nourished and hydrated. At the moment it's been on the dry side so I have recently started using a facial oil not only at night but also during the day as my go to serum. The Pestle & Mortar Superstar Retinol Oil* has been a great addition to my skincare routine and it's really helping to keep my skin feeling nourished all day. It's main ingredient Retinol has been proven to visibly reduce the signs of ageing, improve skin tone, texture and increase the firmness of skin. 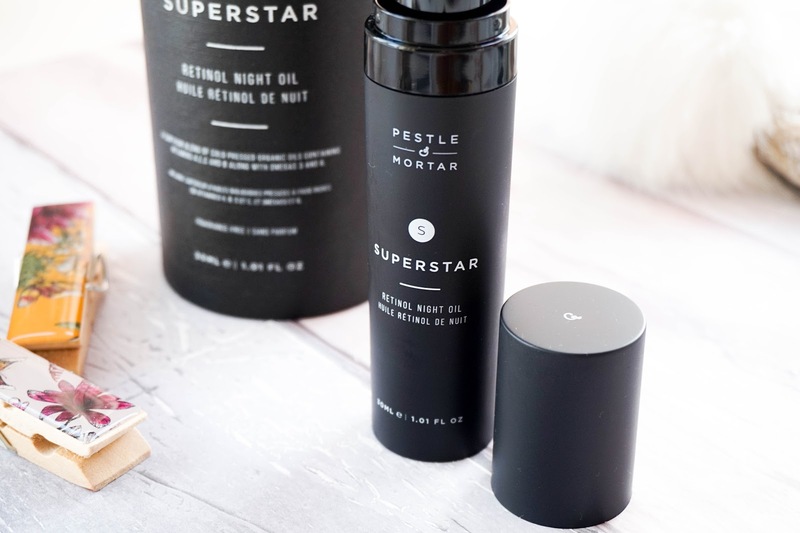 It's definitely an ingredient that you need to be using in your skincare routine... so the Pestle & Mortar Superstar Retinol Night Oil is perfect. I feel like the name Superstar definitely fits the description for this non-irritating night oil, which revitalises and repairs your skin. This facial oil is one of the best on the market as it contains the next generation of Retinol, HydroxyPinacolone Retinoate (HPR), similar to the type of Retinol only available on prescription. Overall it feels super luxurious and it applies effortlessly on the skin. If I'm using it during the day, I apply one pump all over the skin before using my usual daily moisturiser. It gives me that extra boost of hydration and make my skin feel plumped. 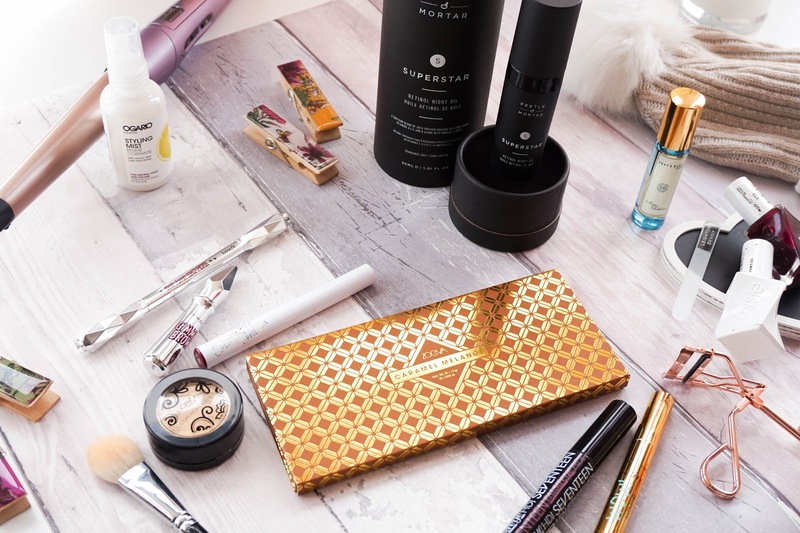 Oh and I've saved the best for last... this Black Friday the Irish beauty brand are offering 20% off all products to mailing list subscribers and 15% off all products to non-subscribers. So if you want to treat yourself to this Superstar Retinol Facial Oil or any of their fantastic products, now is the time to do it. Once my skin is prepped, I use a light foundation or tinted moisturiser all over the face. 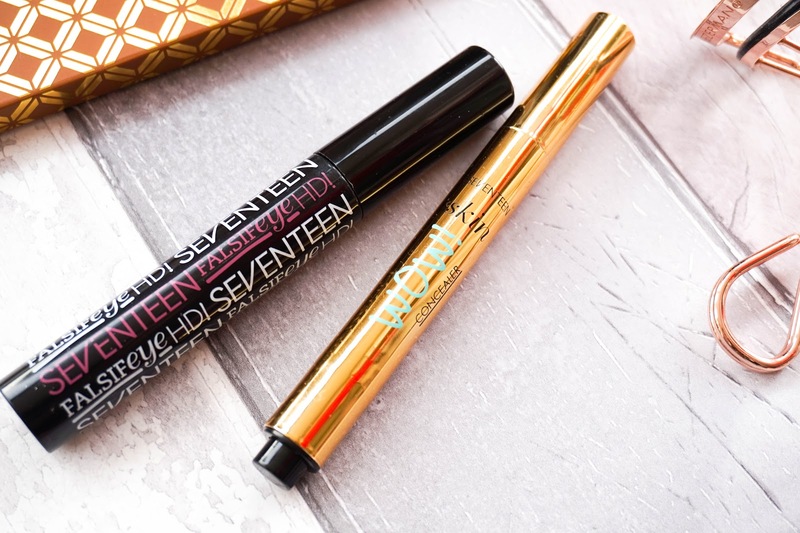 The one thing I focus on is my dark circles and for this I use the fab Seventeen Skin Wow Concealer in shade Fair, which is perfect for brightening up the under eye area. Seventeen is a brand that I am really starting to take note of recently. They have a fantastic selection of products, with great quality and budget prices to top it all off. This concealer is an amazing drugstore option compared to YSL’s cult favourite Touche Eclat (including the gold packaging). The concealer has a creamy texture and medium coverage, and the best part is that it doesn't crease on me at all. I'm really enjoying having a light base such as this during this time of the year, without that heavy or cake feeling... my skin feels like it can breath and it looks better overall. 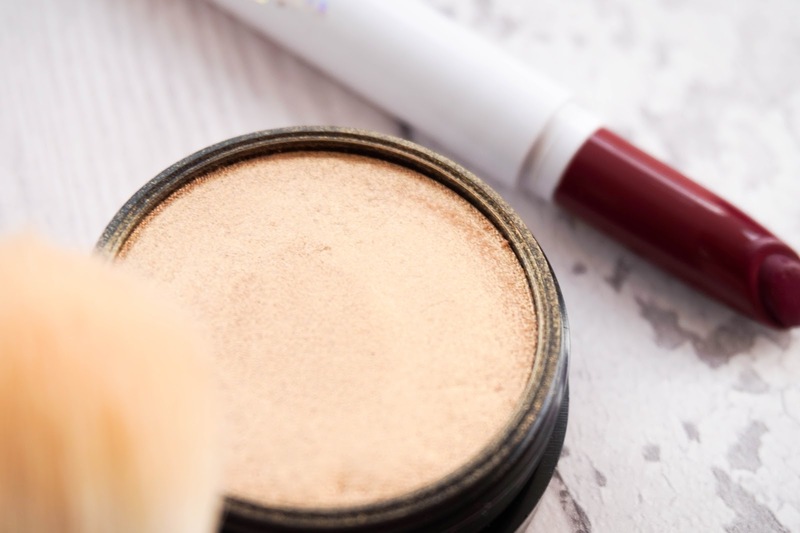 Once contour/bronzer and blushes used to add a touch of colour to my skin, I move onto the highlight and recently I have been loving the L'Oreal Paris Golden Highlighter (limited edition) that I stumbled upon in Superdrug a couple of weeks back. 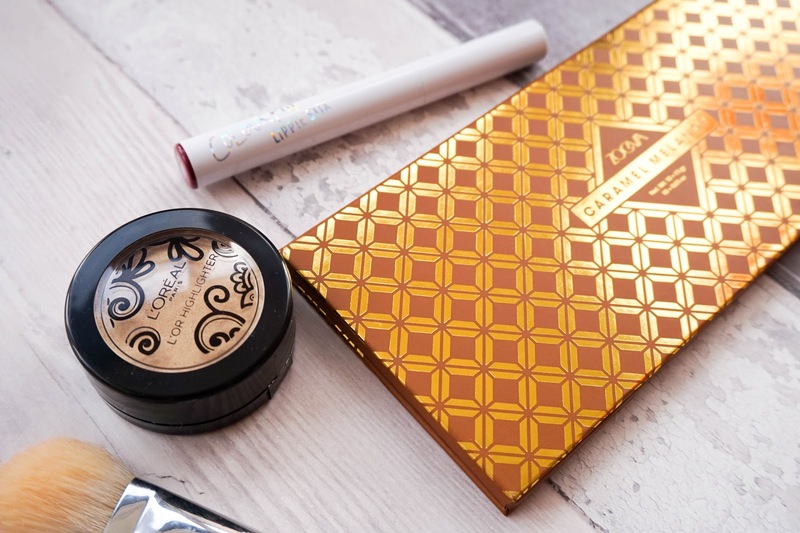 This is a fab dupe for Colourpop products and so far the only dupe that I have personally come across in the UK market (I really hope other brand take note or a permanent line in released from L'Oreal). It has a light cream to powder formula with amazing pigmentation. It really adds an instant glow to the skin as you apply it. If you do happen to come across it in you local Superdrug then I highly suggest you snap it up, you won''t regret it. Moving on to the eyes I'm using my current eyeshadow favourite, which is the stunning Zoeva Caramel Melange Palette. 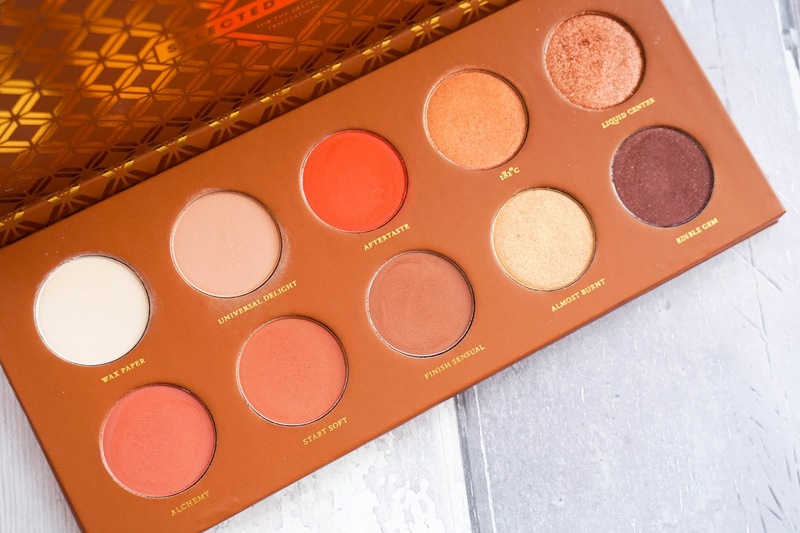 It's warm toned, it's pigmented with a great selection of shades and there really isn't anything I don't like about it. I have a full review on this little beauty if your interested in reading more and seeing the swatches too. In this easy day time look I used shade Wax Paper all over the lid, then Aftertaste and Alchemy in the crease, outer V and lower lash line. 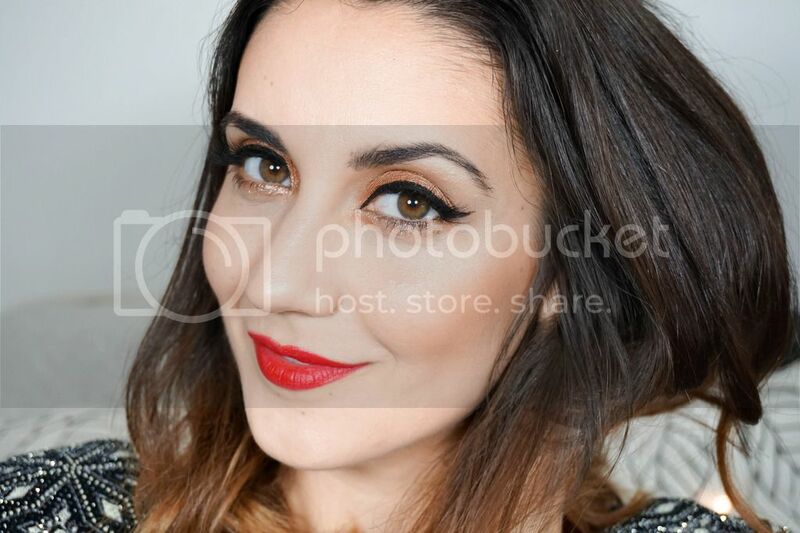 I then finished the look with a flick of black eyeliner and tons of mascara using another Seventeen favourite, the Falsify HD Mascara in shade Blackest Black. The plastic wand with long and short bristles is similar to Benefit They're Real, which is an all time favourite mascara of mine. It really adds great volume and length to lashes, without any clumping. The only slight issue, is that it doesn't create much of a curl so I would recommend to curl lashes first. For my lips I stuck to a berry shade from the Colourpop Staycation Lippie Stix Set, named LBB. Even though this shade is from the matte range, I have to admit that it applies on a lot glossier than I had imagined. It does however dry down to a semi matte finish after a while and eventually remains on the lips as a stain, which I love. 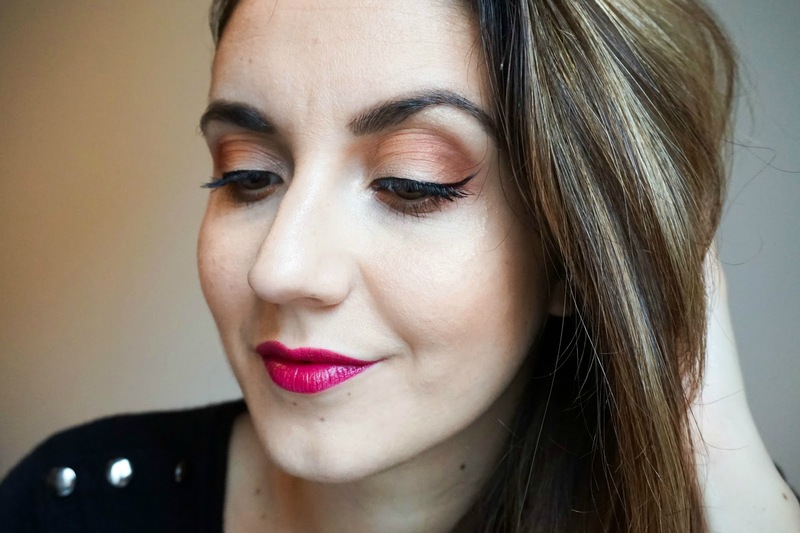 This kind of shade is perfect for this time of the year and the lippie stix means I can easily top it up throughout the day if I wish to do so. I finish the makeup look with brows and here I've got some more newbies from Benefit's fantastic brow range. 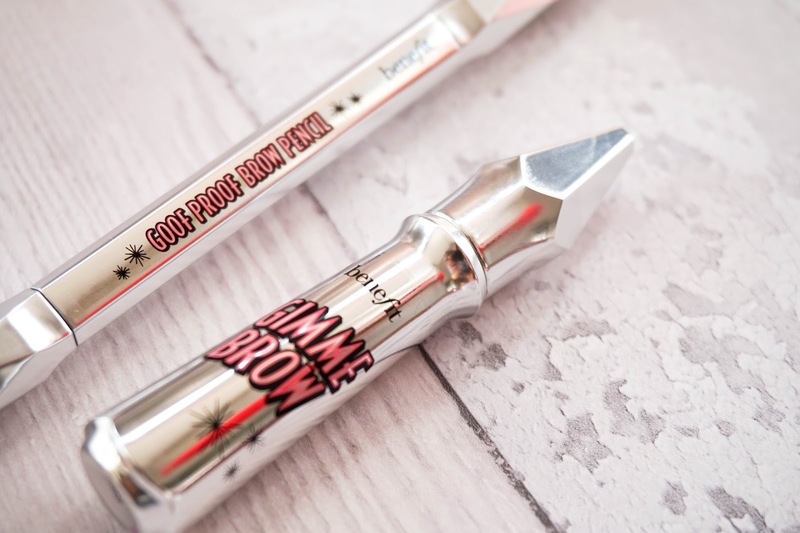 I have always been a fan of Benefit Gimme Brow, so once they re-vamped and added more products to their brow range, I knew I would upgrade as soon as I ran out. Luckily I grabbed a great deal on FeelUnique as I got my hands on the Goof Proof Brow Pencil and the newly repacked Benefit Gimme Brow both in shade Medium. I just love the packaging of both products, they really look the part and stand out in my collection. The brow pencil has a custom, slanted tip that instantly fills in my uneven, patchy brows. The actual pencil inside glides on effortlessly without having to apply too much pressure and it gives off a soft, natural colour. It also includes a built-in blending spoolie on the other end, to make sure there's no harsh lines or edges. Gimme Brow is just as good as it was before and still a firm favourite, especially for those super quick early morning routines. I will be doing a full review on this duo and my brow routine soon, so keep an eye out for that. Now that my makeup is done I move onto hair and this is where I like to change it up slightly from my day to day routine of putting it up in a bun or ponytail. I like adding a bit of volume or even a curl with the Remington Keratin Wand (full review here) so I can actually wear my hair down for a different look. 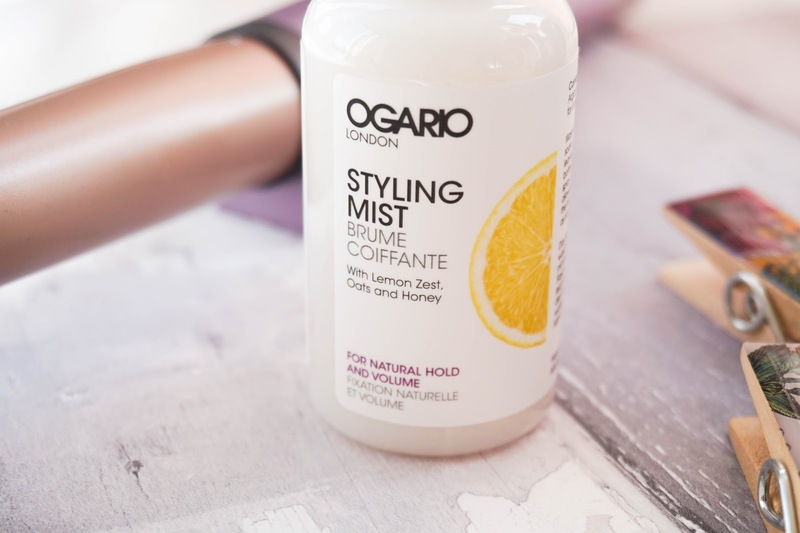 Before I begin styling I like to use the Ogario London Styling Mist* to control how I style my hair and add extra volume. This is a super lightweight mist, which contains lemon zest and oats that infuse the hair with shine and strength (oh and did I mention it has a really nice scent). It also contains an innovative complex MICROKERA, utilising microcapsules of keratin and argan oil in order to target damaged hair as well as helping to seal split ends. Plus the presence of honey to prevent static/frizzy hair for a smooth finish. Lastly you have pro-vitamin B5 and Vitamin E Renowned for anti-oxidant properties. I apply a couple of mists to towel dried hair and work it through using my finger tips. I don't get to experiment with this very often as I never have time during the week, but when I do it really makes a difference to how my hair looks overall. The weekends is also the only time I get to do my nails and here I have the Essie Gel Couture Duo (Model Clicks and Top Coat) that I have been obsessing over lately. I jus love this perfect winter shade and it lasts really well on my nails also... again I've got a full review here if you want to know more.